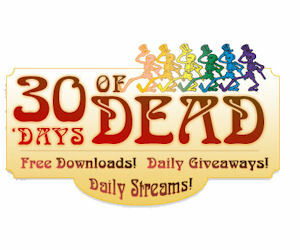 Grateful Dead:30 Days of Dead - Free Song Download Everyday! The Grateful Dead is hosting 30 Days of Dead and everyday they are releasing a new song available for download for free! Visit the linked page everyday for the next 30 days to score a new free song.